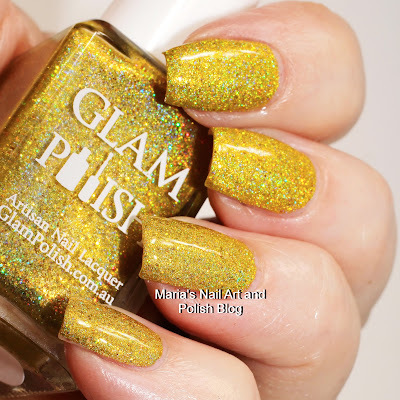 Glam Polish Scorpio is the next in the Hypnotic Polish store exclusive collection: Zodiac. 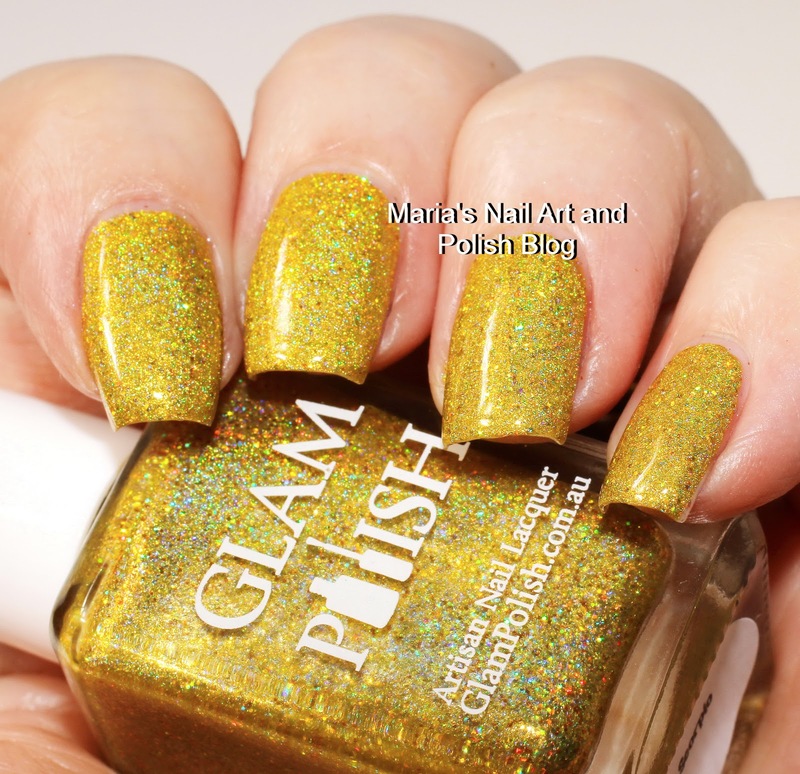 Scorpio is a golden holo with a festive mix of gold and copper holo micro glitter and golden shimmer. The holo/glitters makes it slightly green leaning in some light settings and certain angles. It is very opaque in one coat, but this is two with a coat of Seche Vite. It might not be ideal for my skin tone, but I think this probably is the most unique gold I have in my collection - what do you think of it..? I think this is the first golden holo that I instantly dell in love with. It is beyond amazing! How unusual this one looks like! It is definitely interesting, but I find it a bit too toxic-looking, too overpowering. Maybe as an accent it would look better. It is a bit demanding! It is a demanding color - and yes, also great for nail art!